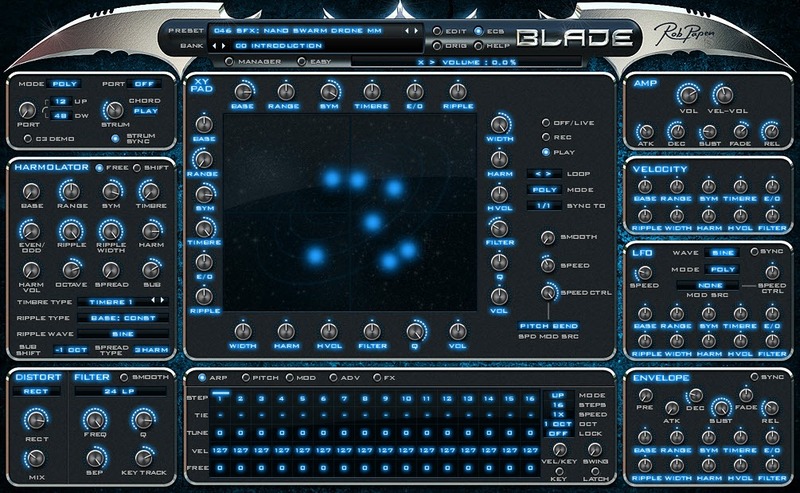 Rob Papen’s brand new virtual synthesizer Blade released yesterday. The price is € 99USD 119 (introduction price until end of May) and is available http://www.robpapen.com/blade.html. The minute I saw teaser videos from NAMM I knew I’d be getting Blade because of it’s fresh immediate and expressive approach to additive synthesis. 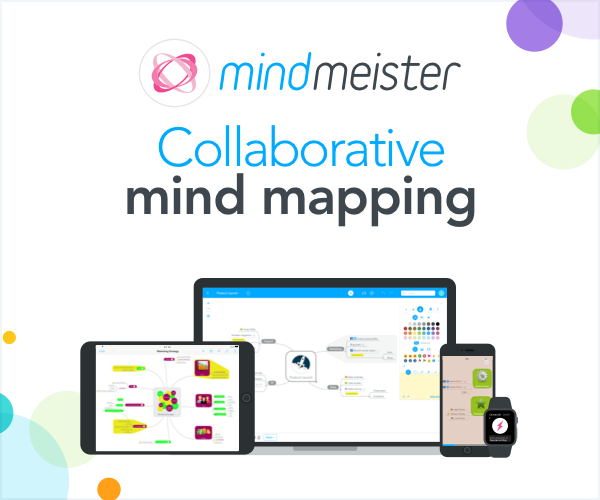 I became part of the beta team and since January I’ve been helping out by beta testing, making suggestions for features, and also creating new sounds. While I’ve been releasing patches for various synths via Patchlab for sometime, this is the first time some of my patches made it into the factory library of a commercial synth – woot! The screen shot above is one of my patches called “Nano Swarm Drone” where I flood the XY path with sustained notes using the Strum feature. After you buy or download the demo, you can checkout my patches by clicking “Manager” then “Find” and enter “ MM”. There are just tons of great factory patches from Rob and other sound designers as well giving you lots to start with. I encourage you to poke around and reverse engineer some patches. Remember the XY can be both a modulation source and target and can be mapped to a majority of parameters (filter, FX params…) not just the additive synth engine. Also note that he filters , FX (including the new tape effects added to Predator in December) and modulation system are straight out of Predator so they sound great and if you know Predator you’ll feel right at home in Blade. 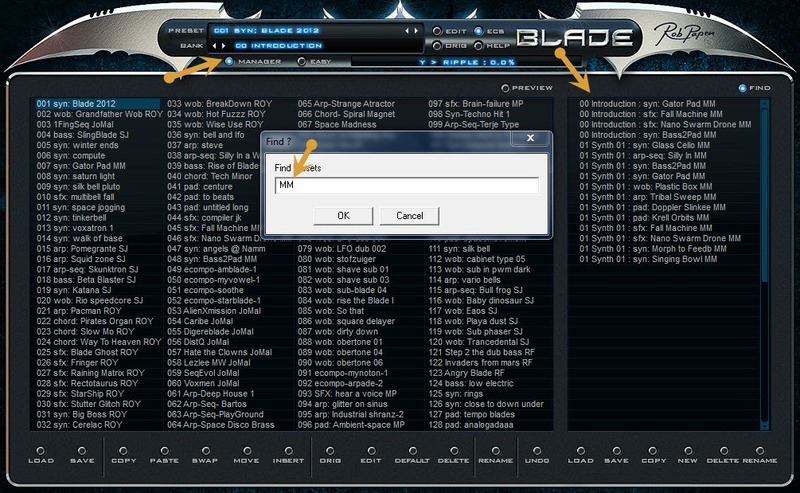 If you are curios about what Blade sounds like checkout this new embedded tutorial video. Visit us at http://www.MixDSP.net for your lowest price on Rob Papen’s Blade! Thanks for your patches and very helpful introduction video. But i have one question, may i use any of my own FX by this process?